Shopping for a Certified Pre-Owned Kia for sale near Branford? With over 45 Certified Pre-Owned vehicles in stock, Executive Kia has you covered. For Meriden drivers that want the cost savings of buying a used vehicle but still want many of the benefits of buying a new vehicle such as being under warranty, a Certified Pre-Owned Kia is an excellent option. Choose from popular Kia sedans and SUVs including Optima and Sportage models with low miles. Browse our inventory of CPO vehicles in stock below to find the perfect pre-owned car to drive home to North Haven. **KIA CERTIFIED**, **ONE OWNER**, **SOLD AND SERVICED HERE**, **LEATHER**, **PUSH BUTTON START W/ SMART KEY, **BLUETOOTH**, **USB**, **POWER DRIVER SEAT**, *SATELLITE RADIO*, 1 Owner Clean Carfax, beige Leather. Certified. Kia Certified Pre-Owned Details: * Roadside Assistance * Vehicle History * Warranty Deductible: $50 * Limited Warranty: 12 Month/12,000 Mile (whichever comes first) "Platinum Coverage" from certified purchase date * 164 Point Inspection * Transferable Warranty * Powertrain Limited Warranty: 120 Month/100,000 Mile (whichever comes first) from original in-service date * Includes Rental Car and Trip Interruption Reimbursement 2015 Kia Optima EX Ebony Black Odometer is 7094 miles below market average! 23/34 City/Highway MPG Awards: * 2015 IIHS Top Safety Pick * 2015 KBB.com 10 Best UberX Candidates For more information on this vehicle, or any of our high quality,fully reconditioned,warranty backed, pre-owned or new vehicles, please visit us at www.executivekia.com. **KIA CERTIFIED**, **ONE OWNER**, **BACK UP CAMERA**, **BLUETOOTH**, **USB**, *SATELLITE RADIO*, **17" ALLOY WHEELS**, 1 Owner Clean Carfax, Clean Carfax Certified!, AWD. Certified. Kia Certified Pre-Owned Details: * Powertrain Limited Warranty: 120 Month/100,000 Mile (whichever comes first) from original in-service date * Includes Rental Car and Trip Interruption Reimbursement * Roadside Assistance * Limited Warranty: 12 Month/12,000 Mile (whichever comes first) "Platinum Coverage" from certified purchase date * Transferable Warranty * Vehicle History * Warranty Deductible: $50 * 164 Point Inspection 2015 Kia Sportage LX Sand 19/26 City/Highway MPG For more information on this vehicle, or any of our high quality,fully reconditioned,warranty backed, pre-owned or new vehicles, please visit us at www.executivekia.com. **KIA CERTIFIED**, **ONE OWNER**, **BLUETOOTH**, **USB**, *SATELLITE RADIO*, **17" ALLOY WHEELS**, 1 Owner Clean Carfax, Clean Carfax Certified!, LED POSITIONING LIGHTS, CRUISE CONTROL, AWD. Certified. Kia Certified Pre-Owned Details: * Transferable Warranty * 164 Point Inspection * Roadside Assistance * Warranty Deductible: $50 * Vehicle History * Powertrain Limited Warranty: 120 Month/100,000 Mile (whichever comes first) from original in-service date * Limited Warranty: 12 Month/12,000 Mile (whichever comes first) "Platinum Coverage" from certified purchase date * Includes Rental Car and Trip Interruption Reimbursement 2015 Kia Sportage LX Clear White Odometer is 5131 miles below market average! 19/26 City/Highway MPG For more information on this vehicle, or any of our high quality,fully reconditioned,warranty backed, pre-owned or new vehicles, please visit us at www.executivekia.com. **KIA CERTIFIED**, **ONE OWNER**, **BACK UP CAMERA**, **BLUETOOTH**, **USB**, 1 Owner Clean Carfax, Clean Carfax Certified!. Certified. Kia Certified Pre-Owned Details: * Limited Warranty: 12 Month/12,000 Mile (whichever comes first) "Platinum Coverage" from certified purchase date * Vehicle History * Roadside Assistance * Transferable Warranty * Includes Rental Car and Trip Interruption Reimbursement * 164 Point Inspection * Warranty Deductible: $50 * Powertrain Limited Warranty: 120 Month/100,000 Mile (whichever comes first) from original in-service date 2019 Kia Soul Shadow Black Odometer is 1039 miles below market average! 26/31 City/Highway MPG For more information on this vehicle, or any of our high quality,fully reconditioned,warranty backed, pre-owned or new vehicles, please visit us at www.executivekia.com. **KIA CERTIFIED**, **ONE OWNER**, **SOLD AND SERVICED HERE**, **NAVIGATION**, **BACK UP CAMERA**, **SUNROOF/MOONROOF**, **LEATHER**, **HEATED SEATS**, **PUSH BUTTON START W/ SMART KEY, **BLUETOOTH**, **USB**, **POWER DRIVER SEAT**, *SATELLITE RADIO*. Certified. Kia Certified Pre-Owned Details: * Warranty Deductible: $50 * Limited Warranty: 12 Month/12,000 Mile (whichever comes first) "Platinum Coverage" from certified purchase date * 164 Point Inspection * Powertrain Limited Warranty: 120 Month/100,000 Mile (whichever comes first) from original in-service date * Roadside Assistance * Vehicle History * Includes Rental Car and Trip Interruption Reimbursement * Transferable Warranty 2016 Kia Forte Koup SX Silky Silver Odometer is 12639 miles below market average! 22/30 City/Highway MPG For more information on this vehicle, or any of our high quality,fully reconditioned,warranty backed, pre-owned or new vehicles, please visit us at www.executivekia.com. 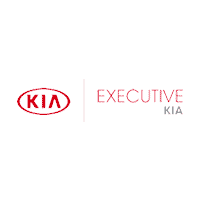 Here at Executive Kia, we understand that you want to drive home in a pre-owned vehicle you feel good about. That’s why we thoroughly inspect each vehicle in our inventory for quality. You can also rest assured that’s you’ll be getting the best deal with our Perfect Price Policy. We’ll always offer our best price first without that hassle of haggling over price. Once you’ve browsed our selection of certified pre-owned and used vehicles, it’s time to take a closer look by taking a test drive. Contact us today to schedule your visit to our showroom in Wallingford.